If you guys didn’t know this about me – I LOVE everything home decor. My DREAM job would to be an interior designer/decorator. We’re going to do a living room refresh on the blog soon, and I’m so excited for you guys to get a look inside our little place! Whenever I choose decor pieces now, I ask myself whether we’ll be able to keep them for the long term. All the decor and furniture we buy is an investment- it’s pieces we know will come with us to the next place we move! Your early to mid twenties are all about mixing and matching hand me down pieces and affordable IKEA furniture (although, I will always love IKEA!). 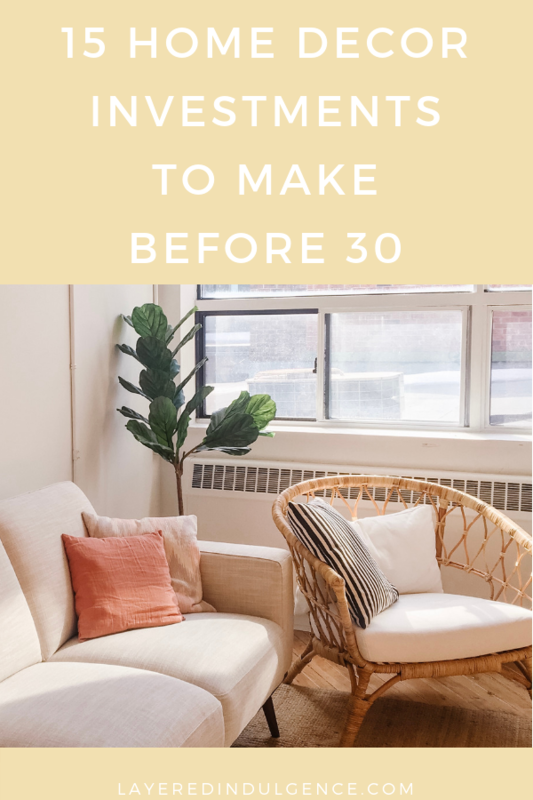 Heading into your thirties, it’s more about those investment pieces that are meant to last! Don’t get me wrong- I didn’t write this list to make anyone feel bad or feel like they’re not as far ahead as they should be (I don’t even have EVERYthing on this list! ), I just wanted to create a list of things to prioritize as we head into our third glorious decade! 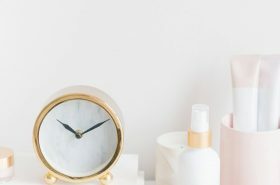 Here are 15 home decor essentials every girl needs by age 30! A good quality sleep is so important at every age! Investing in a good mattress is key and ensures you get a good night’s rest. A good mattress provides you with comfort and support, positively affecting your overall health and well being. Some great options for comfortable mattresses are Casper, Endy and Sleep Country! When we moved into our current condo, I realized just how important it is to have storage, and even better- stylish storage! A TV stand with shelving and drawers has been a huge help, as has a coffee table with storage underneath. Other options for stylish storage are wicker baskets and wooden chests to places things like out-of-season throws and pillows. This is one thing we haven’t invested in yet, but I can’t WAIT for the day we buy our dream couch!!! 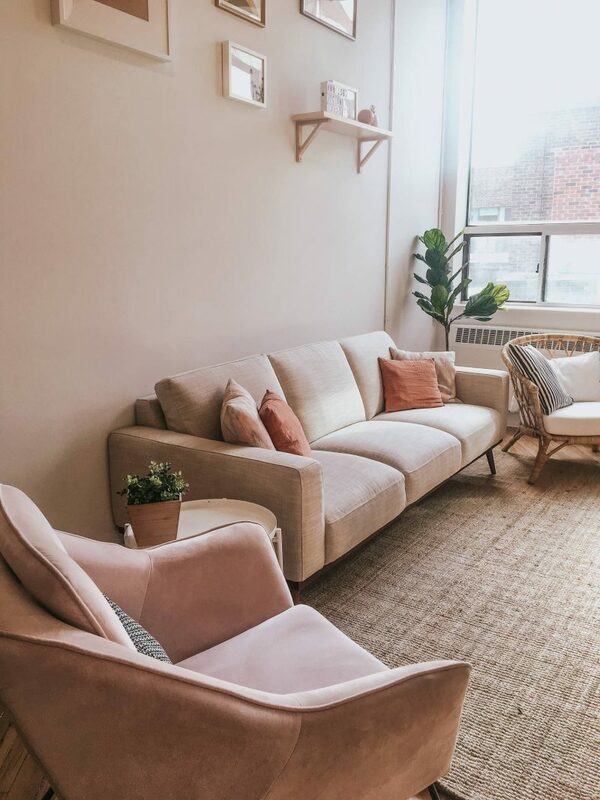 Right now, for me that looks something like Article’s Sven Cascadia Blue Sofa or their Sven Charme Tan Sectional…anything from Article is on my dream home wish list! A couch is such a statement piece for your living room so it’s worth the investment! Make sure it’s one you love the look of and that’s comfortable! If you’re like me, you’ll be spending lots of time on it, so comfort is key! There’s something about art that just feels so grown up, doesn’t it? 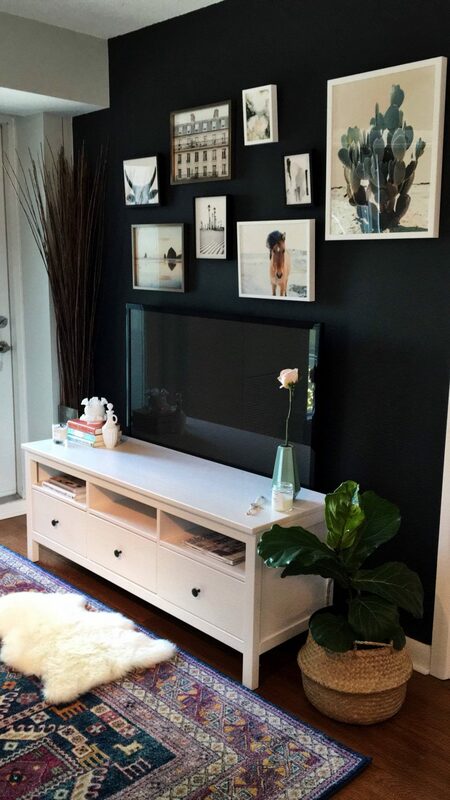 I’m excited to invest in our first piece of “real” art, but for now I’m really in love with our gallery wall I created with Minted! All the pieces are so gorgeous – it’s a really great spot to go for beautiful, affordable art! 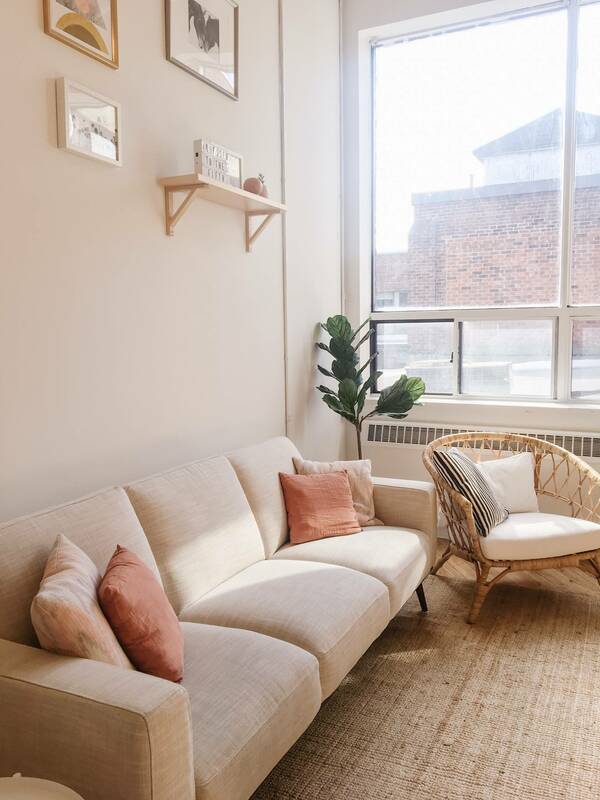 My aunt and uncle run Muse gallery in Toronto, and we’re super excited to invest in some pieces there when we buy our own place! We had a plain black coffee table from IKEA for so long, but have finally decided to upgrade to this one from Wayfair! Your coffee table should be a focal point in your living space. It should compliment your couch, rug and other furniture, but also stand on its own! A good coffee table should last you for years, so find a quality one that’s also timeless! What better way to adorn your new coffee table than with a pretty collection of coffee table books? They look so stylish and are also fun to flip through! If you haven’t started throwing dinner parties yet, your thirties are the perfect time to start! And for those dinner parties, it’s important to have matching dinnerware for your guests! Personally, I don’t think dinnerware is something you need to spend an arm and a leg on. 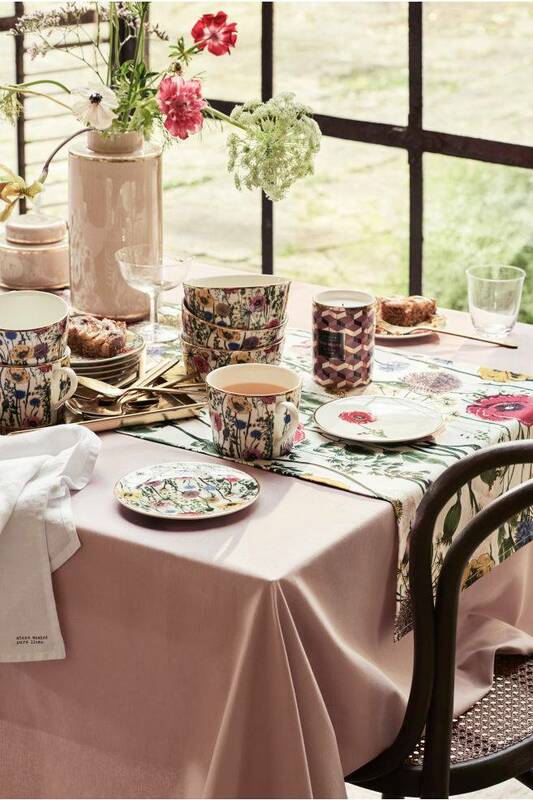 H&M Home has some really gorgeous pieces that look much more expensive than they are! When choosing dish ware, pick colours that compliment each other, or go with the same colour throughout from your plates, bowls and mugs. Once you add an area rug to your space, the whole room transforms! Area rugs add so much warmth and personality, and really are the perfect decor piece! I always get questions about the one we have in our living room right now! I can’t find the exact one as we got it a few years ago, but here’s one that’s similar! Just like a signature perfume you use on your body, your home should have a signature scent too. I never used to light candles, but I went to the One of a Kind Show two Christmas’ ago and fell in love with two of the candle shops there. Now, we’re hooked on Nomad from 100 Years of Love and the Rice Flower and Vetiver candle from Murphy and Jo. Candles make you space feel so much homier…and I have to say, more grown up! Matching nightstands on either side of the bed are musts! 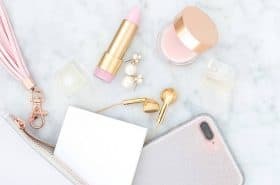 Your bedside table holds many important things, from your nighttime moisturizer, to the book you’re reading to your favourite sleep essential oil. We’ve been eyeing these ones from Structube! Add some greenery to your space with beautiful plants! 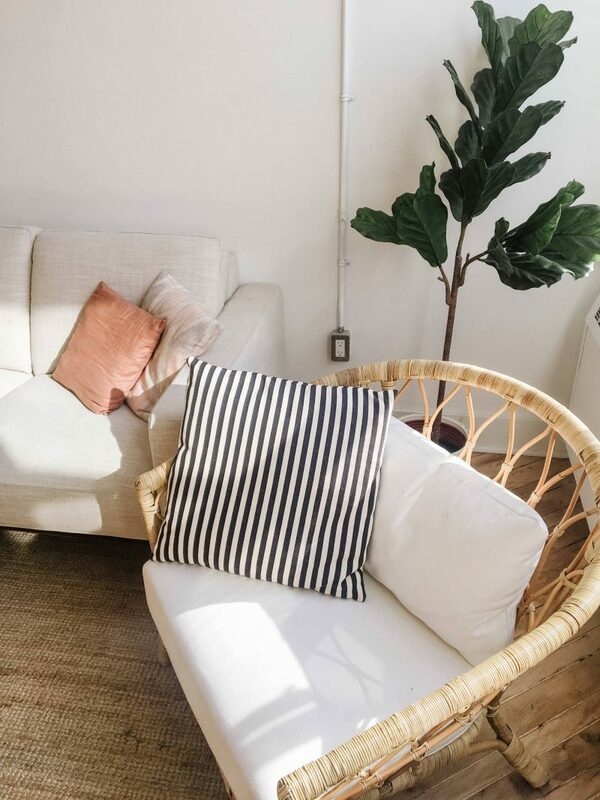 They bring nature in, enrich the indoor air quality and just make your space look better overall. Fiddle leaf figs and money trees are my absolute favourites right now! Just remember, all plants require different care, so make sure to do your research when you decide on the ones you want! I’m such a sucker for charcuterie and cheese boards…there are such beautiful ones out there these days and I’ve been lucky to be gifted quite a few in the past couple years! Stefan got me this gorgeous marble one from William Sonoma for Christmas for example! Charcuterie and cheese boards are essential if you’re going to be throwing dinner parties and having people over! They’re stylish and easy ways to present snacks and appetizers! It’s always great to have cookbooks on hand in the kitchen! Although it’s so easy to find recipes online now, I really love having hardcover cookbooks to look through. The photos are always so gorgeous and inspire me to make more meals! Am I the only one who feels like you’ve truly made it when you can buy flowers from a floral shop every week or two to put in your home. And of course, you’ll want a beautiful vase to put them in! Invest in a good quality vase that you can use for years! 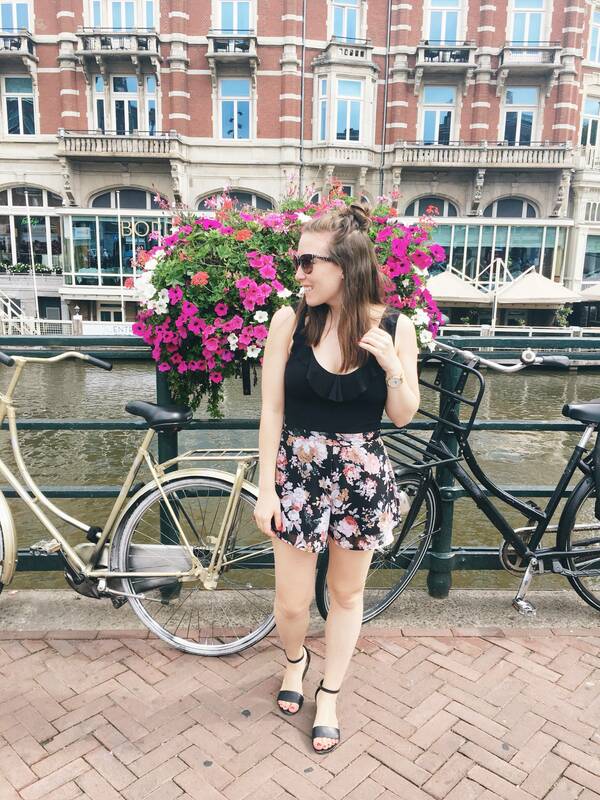 Make sure it matches your overall aesthetic and any flowers you put in are sure to look amazing! I LOVE statement chairs, and they’re a definite staple for a grown-up space! They bring a room together so nicely, whether you have one on its own or two matching ones. I love this one from Structube and also love the idea of a whicker one like in the photo I took the store at Park & Fifth Co. below! 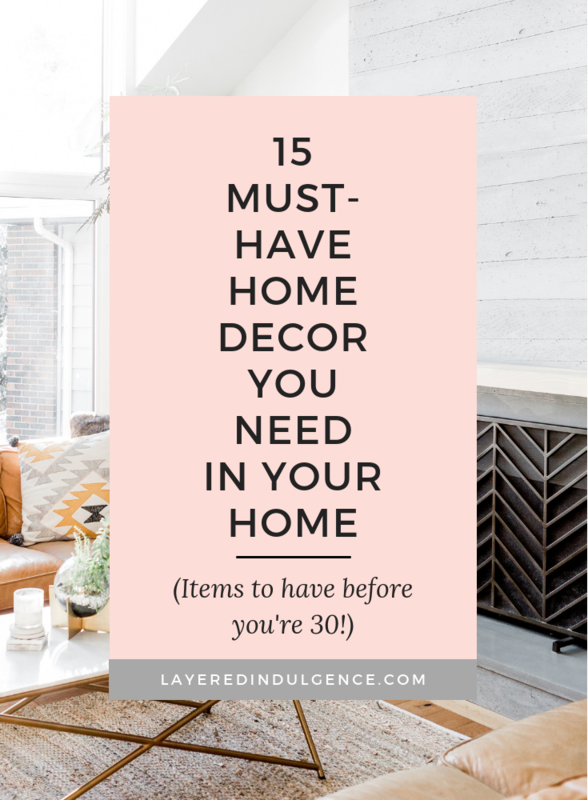 What do you think about these home decor essentials to have by age 30? Anything else you’d add to the list?